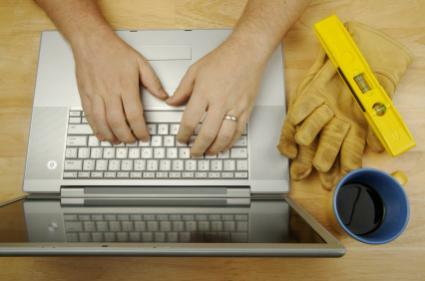 Let the Internet help with your home improvement projects. Shopping for your remodeling needs at a home improvement online store is a fast and easy alternative when you are searching for hard-to-find items or simply do not want to drive to your local "brick and mortar" home improvement store. One of the best things about shopping for your home improvement needs online is the wide variety of products offered that may not be available to you locally. Online shopping also offers easy price comparisons and the ability to search for that hard-to-find item, without leaving the comfort of your home. Online home improvement stores are not limited to the popular Home Depot, Menard's or Lowe's. Improvements Catalog - This website offers a wide variety of home improvement products from storage solutions to an outdoor chimenea. Join the "Buyer's Club" to receive further discounts on their already low prices. Do it Best - Claiming to be "The world's largest hardware store" Do it Best offers a huge selection of products that include anything from building materials to eco-friendly items. A Trendy Home - This online store boasts over 500 products and is rated "AA" by the Better Business Bureau. Amazon - Amazon has everything from a compound miter saw to the simplest doorknob. They sell both new and used products and often run shipping specials to further your home improvement project savings. Renovators Supply, Inc. - If you are looking for reproduction antique hardware, sinks, faucets, lighting and accessories for your kitchen or bath, look no further than Renovators Supply. Lumber Liquidators - If you are looking for great deals and deep discounts on hardwood and laminate flooring, visit the Lumber Liquidators website. The online store offers you the option of picking up you order at your nearest Lumber Liquidators retail store or having it delivered to your home. BuilderDepot - Seek out your home improvement products by browsing BuilderDepot's "Store Aisles". Keep the following tips and warnings in mind when shopping at a home improvement online store. Search for coupons - Visit the Flamingo World website to find discount coupon codes for a huge variety of online stores. Look for free shipping deals - Many online stores offer free shipping when your order is over a certain dollar amount. Some websites like Amazon also offer shipping specials on certain products regardless of the order dollar amount. Print out your order confirmation page - Keep this page with all of your receipts. Printing your order confirmation page will also give you easy access to your order information if your products become lost during the shipping process. Keep a copy of all receipts - This includes your order confirmation page and credit card receipts. You will need both if the items you ordered arrive damaged or need to be returned. Use only reliable websites - Seek out sites with the "VeriSign Secured" seal. VeriSign is a company that specializes in, among other things, online transaction security services. Delete your browsing history - When you have finished shopping, go to the "Tools" drop-down menu on your web browser. Select "Internet Options" and under "Browsing History" click on "Delete". This will delete all cookies, passwords and other personal information you may have entered when making your online purchases. Make sure your security software is up to date - Having out-of-date security software opens you up to whole host of problems that include having your personal information and credit card number(s) stolen. You need to take a few precautions when shopping online, but it is just as safe as whipping your credit card out at your local home improvement store. To set your mind at ease a little bit more, every Internet service provider has its own firewall and security software that is used in addition to the software on your own computer. So put your mind at ease and your worries aside. Happy shopping!